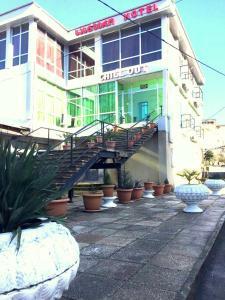 Chill out Hotel is offering accommodation in Tskaltubo. This 2-star hotel offers a 24-hour front desk and free WiFi. Guests can make use of a shared lounge. At the hotel, the rooms have a wardrobe. 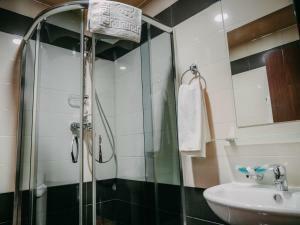 Rooms are complete with a private bathroom equipped with free toiletries, while selected rooms also boast a seating area. 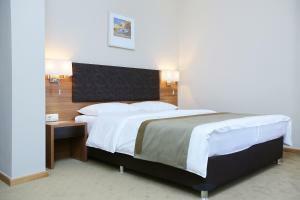 All guest rooms at chill out Hotel come with a flat-screen TV with satellite channels. A continental breakfast is served daily at the property. Kutaisi is 6.8 miles from the accommodation. 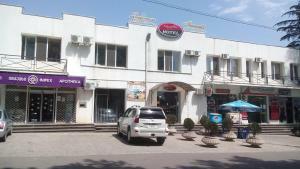 The nearest airport is Kutaisi International Airport, 11.8 miles from chill out Hotel. Located within a 10-minute walk of Lake Tsivi in Tsqaltubo, Nikala Hotel provides massage services on site. Free private parking and free Wi-Fi are available. The rooms are air-conditioned and feature a fridge and cable TV. Some rooms come with a seating area and a balcony. Breakfast is served in the canteen every morning. Guests can also dine in the property's snack bar. Grocery delivery is available upon request. Kumistavi cave and Kutaisi are a 20-minute drive from the hotel. Tsqaltubo Train Station is 3 km away, and Kutaisi Airport is 15 km from Nikala Hotel. Hotel Prometheus is located in centre of Tskaltubo, a 5-minute walk to the central park and mineral water springs. Free Wi-Fi access and parking are available. The comfortable rooms are air conditioned and come with satellite TV and a fridge. 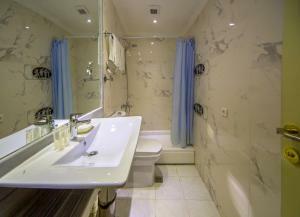 The private bathrooms offer a shower or bath, hairdryer and free toiletries. The restaurant at Hotel Prometheus serves Georgian cuisine. The hotel has a bar and sun terrace. The Prometheus Cave is 3 km away. Tskaltubo Train Station is 2.5 km away, while Kutaisi Airport is 30 km away. Featuring free bikes, Green Garden Guest House is set in Tskaltubo and also provides a garden and a terrace. 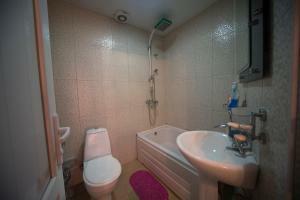 All rooms feature a kitchen and a private bathroom. Staff on site can arrange airport transfers. The rooms in the guest house are equipped with a flat-screen TV with satellite channels. Free WiFi is available to all guests, while some rooms here will provide you with a terrace. The units come with a seating area. A continental breakfast is served each morning at the property. Guests at Green Garden Guest House will be able to enjoy activities in and around Tskaltubo, like cycling. Kutaisi is 6.8 miles from the accommodation. 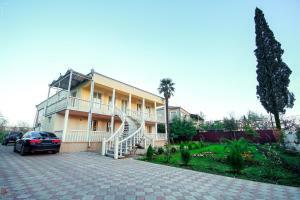 The nearest airport is Kutaisi International Airport, 12.4 miles from Green Garden Guest House. Located in the green area, 300 metres from Tsvivi Lake, Tsqaltubo Plaza Hotel features a terrace. Free WiFi and free parking are available on site. The rooms offer air conditioning, an electric kettle, hairdryer and flat-screen TV with satellite channels. 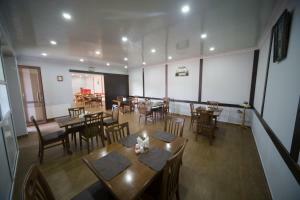 Guests can dine in the property4s restaurant, serving national cuisine. There is also a bar on site. Room service is available upon request. Tsqaltubo Train Station is 1.6 km away, and Kutaisi International Airport is 14.6 km from Tsqaltubo Plaza Hotel. 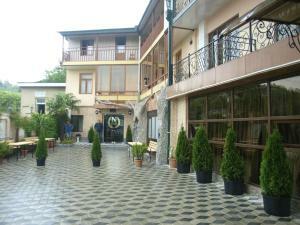 Featuring spa centre and mineral water treatments, this hotel is located in Tskaltubo Resort, 13 km from Kutaisi town. It offers free Wi-Fi and rooms with a flat-screen TV. A wide range of health treatments are provided at Tskaltubo Health Resort, including physiotherapy, mineral water baths and several types of massage. Each room at Tskaltubo Health Resort is decorated in warm colours and includes a fridge. 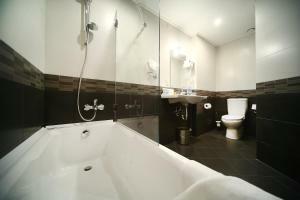 A bath is provided in the bathrooms. 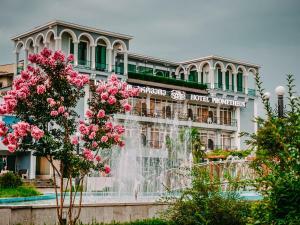 A special diet menu is offered in the hotel's elegant dining hall, and there is also a restaurant serving Georgian cuisine, 1 km away. Tskaltubo Mineral Water Park and Tskaltubo Central park are located within a 5 minutes' walk from the resort. Local buses run to Kutaisi from the bus stop, located a 10-minute walk away. Imereti Health Resort is located in the very center of Tskhaltubo, 7-minutes walk from the balneological zone of the resort. Kutaisi is 9.3 miles away. Free parking and WiFi are available throughout the resort. 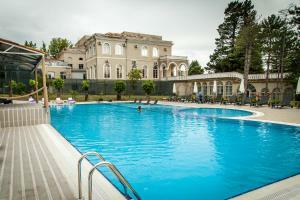 Imereti Health Resort features various medical treatments, including physiotherapy and thermal baths. 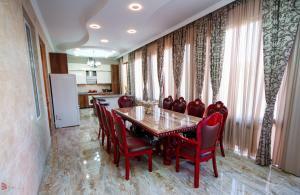 All units come with air-conditioning, flat-screen TV, satellite channels and a refrigerator. 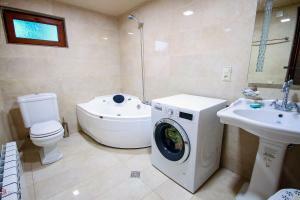 Private bathrooms with a hairdryer and free toiletries are also offered. At the restaurant of the sanatorium guests can enjoy delicious Georgian and not only Georgian dishes. Meal plan is created by nutritionist and approved by sanatorium doctor. Sanatorium has clinical diagnostic laboratory and massage room. Services for complex treatment at the resort are offered by health and rehabilitation center Be healthy, located in the spring building 2, where balneological and wellness procedures for face and body are provided by qualified doctors. Imereti Health resort is 13.7 miles away from Kutaisi International Airport. Surrounded by a large garden, this resort is located in Tsqaltubo and offers hot mineral baths. 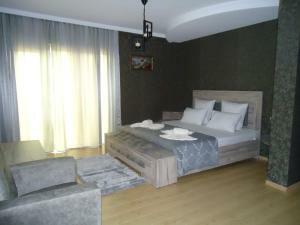 Free Wi-Fi, massage services and free transfer from the Kutaisi airport are featured at Tskaltubo Spa Resort. 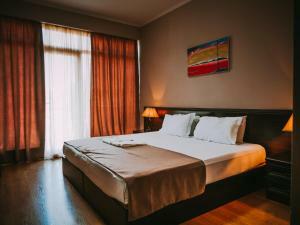 The air-conditioned rooms offer warm-coloured interiors and classic-style decor. Every room comes complete with a flat-screen TV, a minibar and a private bathroom. A restaurant, serving European cuisine, is on site. 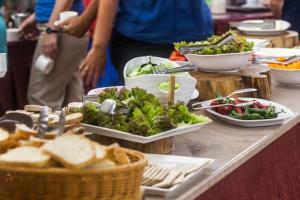 Diet menu and barbecue facilities are also available. Guests can play table tennis, billiards, darts or go hiking and cycling. A games room, a children's playground and karaoke are also offered for guests' relaxation. The famous Sataplia Caves and the adjacent dinosaur prints are 6 km from the resort. Kutaisi International Airport is 23 km from Tskaltubo Spa Resort.